SAN DIEGO, March 14, 2006 -- Northrop Grumman Corporation (NYSE:NOC) has demonstrated its KillerBee low-altitude, long-endurance unmanned aerial vehicle (UAV) for the U.S. Air Force, highlighting its ability to provide real-time streaming video and precision targeting information to warfighters. Designed by Northrop Grumman and Swift Engineering, the version demonstrated for the Air Force has a 9-foot wingspan and carries electro-optical and infrared sensors. 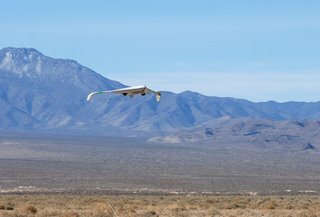 Bill Walker, Northrop Grumman's director of business development for the KillerBee program said, "We demonstrated our ability to launch and recover the aircraft without a runway, provided real-time video, displayed low-altitude flight and the potential for autonomous long-endurance operations." This concept will provide unprecedented situational awareness as multiple KillerBees work together to form a robust, tactical UAV system.